When it's the off season, some baseball players travel the world, while many spend time with family. And others decide to create YouTube channels and give mega tips to servers in need. Alex Bregman, a third baseman for the Houston Astros, recently decided to launch his own YouTube channel to capture a "behind the scenes look" at how he and his teammates spend their time outside of baseball. "But we kind of also wanted to do some things to help some people out, especially here in the Houston community — a community that's done so much for myself," Bregman said in a video published Nov. 7. The first video on his channel debuted Nov. 5 and documented a trip to Baton Rouge, Louisiana. Bregman has since crashed a fan's wedding and even gone the extra mile at one of his Houston haunts, The Moonshiners, where he helped out one of the servers with $500 in cash. 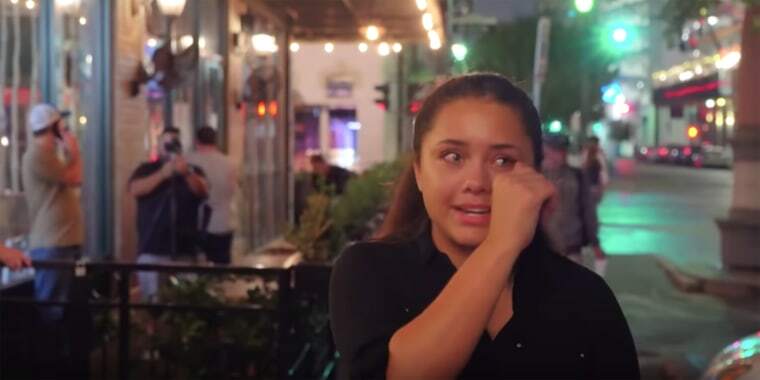 Some famous do-gooders who have left hefty tips have done so at random — like when YouTuber MrBeast left $10,000 for a waitress in North Carolina or when Donnie Wahlberg gave out a $2,000 tip at Waffle House. But Bregman wanted to be sure the $500 would go to someone who really needed it. Before performing his generous stunt on Nov.6, Bregman called the restaurant to ask whether any of the servers were going through tough financial times. Coincidentally, Jordan Thompson, a senior studying early education at University of St. Thomas in Texas (who also works at the restaurant), had been the victim of a burglary earlier that day. "I was actually on the way to the bank after my classes," Thompson, 22, told TODAY Food. When she returned to her vehicle, she realized that her car had been broken into. "It was right before I had to go into work. They messed with the handles ... this car is super old so it basically invited them in." While Thompson, who plays on the school's soccer team, said she didn't keep much else in the vehicle, a sizable sum of money to deposit happened to be in there that day. “We thought this would be a good idea to come help a waitress who’s struggling right now. I think it’s a good deed and I think when you’re an athlete or someone who has the platform that we have, it’s important to give back and ... really use that platform in the right way," Bregman said in the video. "I'm actually kind of nervous to be honest with you. I wonder what her reaction's gonna be." All nerves aside, Bregman pulled it off — much to Thompson's total surprise. After ordering some waters and an iced tea, the baseball star and his three friends put $500 cash on the bill and left the restaurant. Thompson noticed the money and, tearing up, quickly followed them out the door to thank them. i had a breakdown yesterday bc my money i was going to deposit for my bills was stolen. i only work 2 days a week since i’m a full time student athlete & had no idea how i was going to make it up...then this happened. "It meant a lot to me personally because of the timing and money getting stolen from me. I was super grateful and also relieved because now I can actually focus on school and have less stress on me having to work extra," Thompson told TODAY Food. "As soon as I saw the money, I just hugged them. I was super thankful." Looks like the Astros have a very grateful new fan.